When it comes to the pecking order of positions that teams value in the National Football League, pass rushers come in as a close second-place to quarterbacks. If you need further evidence of this, just look at the $100 million contracts that Houston Texans defensive end J.J. Watt and Kansas City Chiefs outside linebacker Justin Houston signed within the last year. Houston and Watt join defensive tackle Ndamukong Suh and wide receiver Calvin Johnson, both of who are perennial All-Pros, as the only non-quarterbacks to have joined the exclusive $100 million contract club. For a player to be an effective pass rusher, he doesn’t always have to lead the league in quarterback sacks. The edge rushers for the Seattle Seahawks are an excellent example of this. 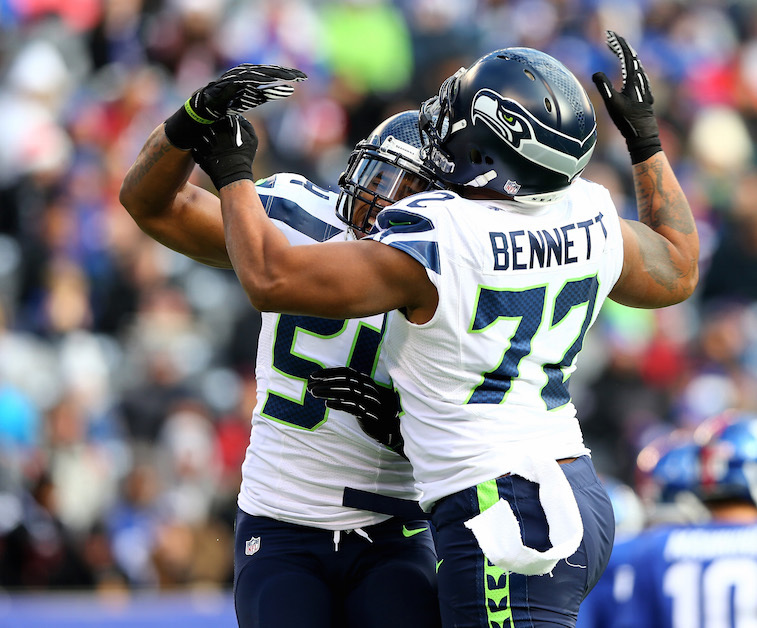 While the duo of Michael Bennett and Cliff Avril combined for merely 12.0 sacks in 2014, it was their disruptiveness on passing downs that played a large part in the freeing up the trio of cornerback Richard Sherman and safeties Earl Thomas and Kam Chancellor to play a little more aggressively than they normally would have in the secondary. All three members of the Legion of Boom went on to earn All-Pro honors as a result. With that being said, Bennett and Avril’s low sack total kept them from earning a spot on this list. Another honorable mention goes out to the Miami Dolphins. In Miami, Cameron Wake continues to cause headaches for opposing offensive coordinators, and Olivier Vernon is a budding star on the opposite side of the ball. The also added Suh to the interior of their defensive line, but for the sake of this article, we only considered edge rushers. In compiling this list, we considered factors such as sack totals in past seasons, defensive schemes, and our forecasts for 2015 sack totals. Again, only edge rush duos were considered. Here’s what we came up with. 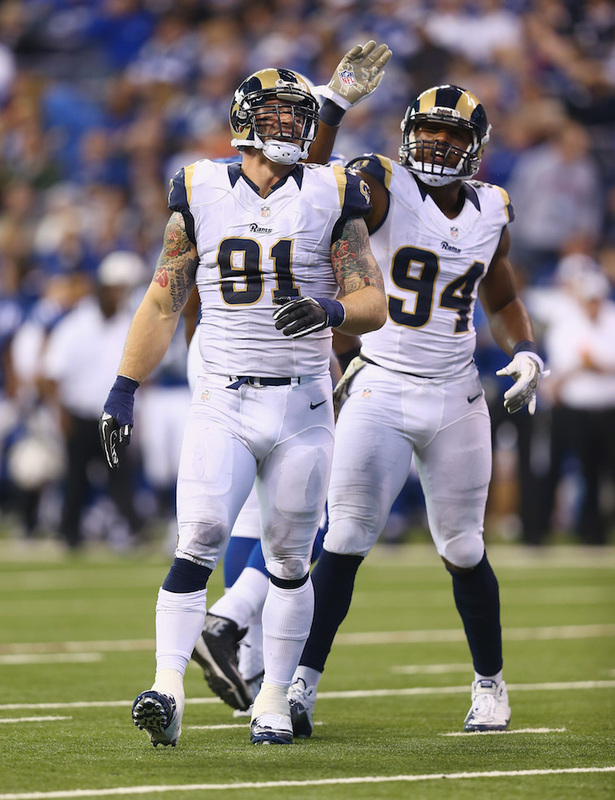 The Rams have one of the best defensive lines in the NFL. Their defensive ends, Robert Quinn and Chris Long, are great run defenders in addition to being All-Pro caliber pass rushers. This article is all about pass rush ability, however. 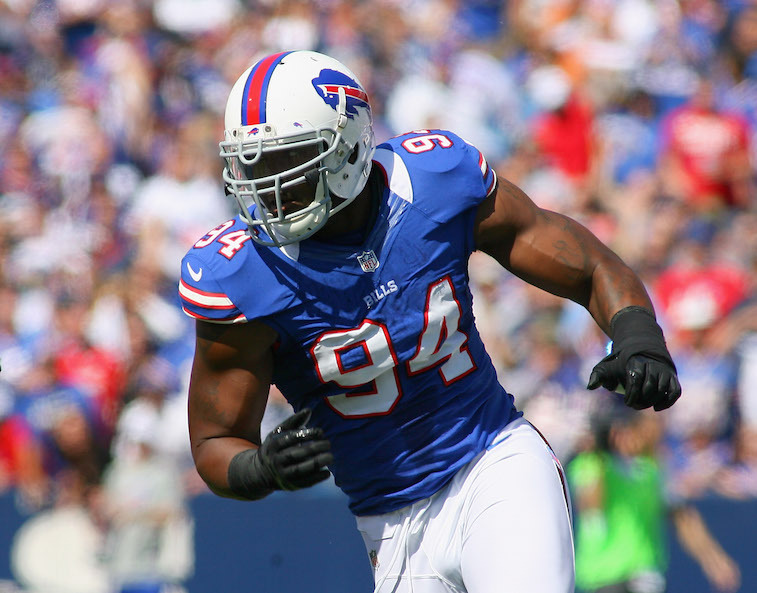 Quinn has 45.0 sacks in his four-year professional career, and Long has 51.5 in his seven NFL seasons. There may not be a more physical imposing pair of defensive ends in the league, and had Long not missed 10 games a year ago, we would likely have ranked this duo higher than fifth. 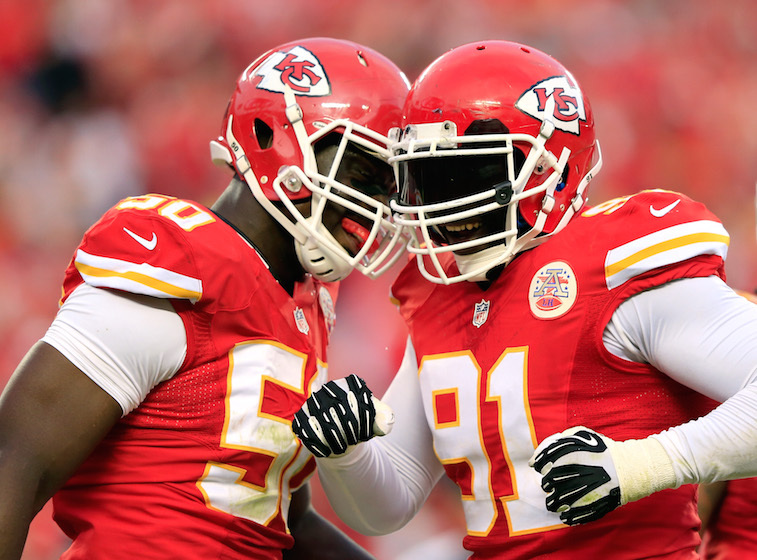 Justin Houston is one of the top-three edge rushers in the league, and now he has the contract to back that up. The 26-year-old came within 0.5 sacks of the NFL single-season record in 2014, and is just now starting to enter the prime of his career. His counterpart, Tamba Hali, is no longer the pass rushing force he was earlier in his career, but there is no arguing that the nine-year veteran can still get after the quarterback. We are expecting this duo to finish with close to 30 combined sacks in 2015. The Buffalo Bills have a legitimate shot at unseating the Seattle Seahawks as the best overall defense in the NFL in 2015. That is only a mild exaggeration, but if the Bills are able do so, it will be in large part due to the excellence of their edge-rush duo of Marion Williams and Jerry Hughes. In 2014, Williams and Hughes combined for 24.5 quarterback sacks – a number we strongly believe they will eclipse under new head coach and defensive mastermind Rex Ryan. This pair could easily post upwards of 35 sacks between the two of them in 2015. Suggs and Dumervil combined to bring the quarterback down a whopping 29.0 times in 2014. We foresee 2015 being an even better year for the Ravens duo. Suggs should again have a double-digit sack total, and Dumervil has his sights set on the league’s single-season sack record. Expectations are high for the Ravens this year, and these two will play a major role in determining whether the team is successful or not in 2015. Judging by the wildly successful careers of both players, we think it will be a successful season in Baltimore. This duo has everything in place to be ridiculously good in 2015. Von Miller is an elite edge rusher, who has arguably the quickest first step in the league, and Ware has likely already done enough to earn a spot in the Pro Football Hall of Fame when he retires. 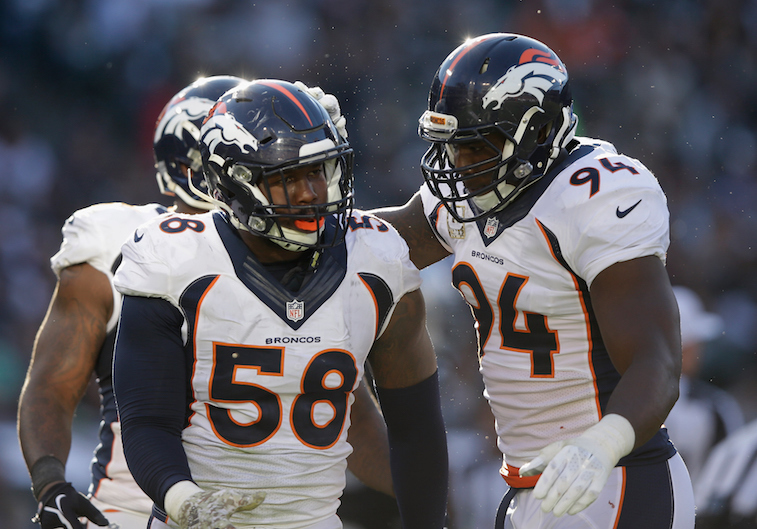 The Broncos will be transitioning to a 3-4 defense under new defensive coordinator Wade Phillips, which should mean great things are coming for both players. For Miller, it will allow him to rush the passer on a full-time basis, something that wasn’t the case in 2014 under former defensive coordinator Jack Del Rio. For Ware, it’s a reunion with Phillips and a return to the scheme that he played in with the Dallas Cowboys where he racked up 117.0 sacks in nine seasons. As outlandish as this may sound, this duo could flirt with 40 combined sacks in 2015.